Over the last year or so, the Australian wind industry, its parasites and spruikers have pointed to a number of proposals to spear mega-windmills offshore and out in the briny blue, including one monstrous boondoggle pitched for the waters off of the Victorian coast. These pie-in-the-sky plans are accompanied with the usual guff about wind power being free, and getting cheaper all the time. As yet, Australia doesn’t have any offshore turbines. And that’s probably because the true cost of offshore wind power is magnitudes greater than the fantasists would have you believe. 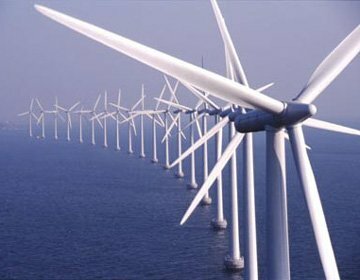 From what Professor Gordon Hughes details, wind industry claims about offshore wind power being cheap have just been sunk.